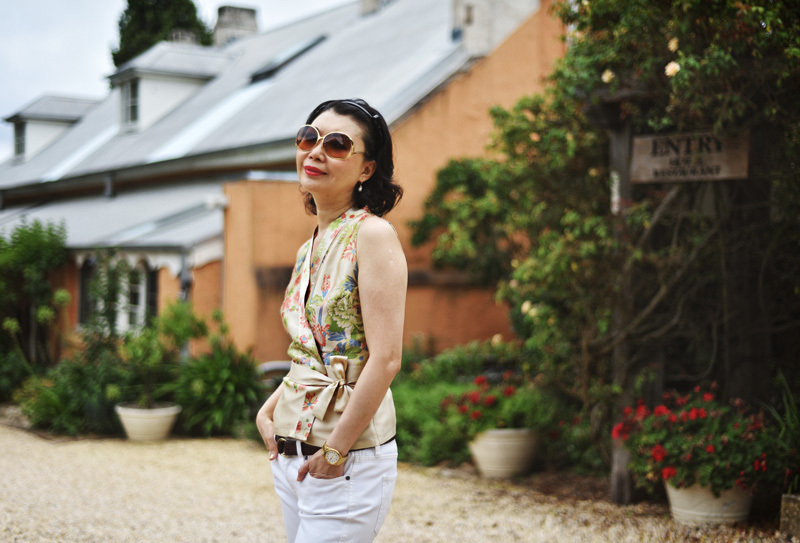 Fitzroy Inn‘s period charm provided a gorgeous backdrop for our fashion story. 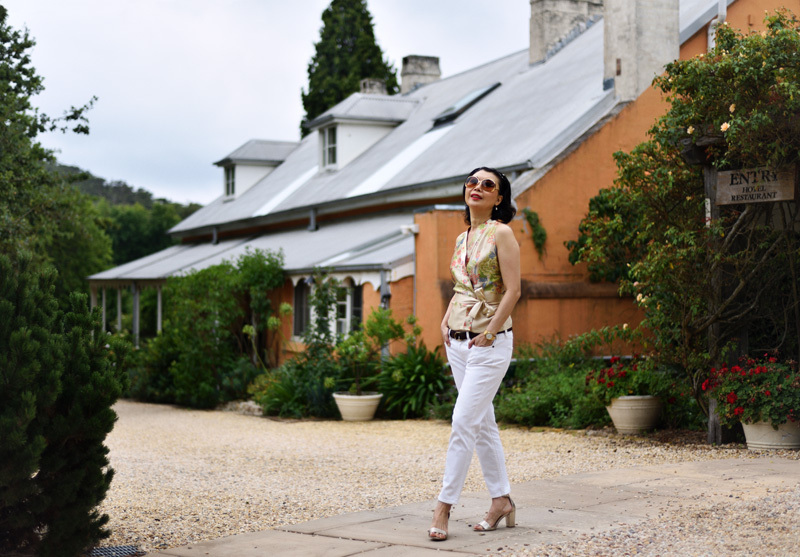 To compliment the period charm, I selected pearl earrings, an Eastern bygone-era inspired kimono silk top (which I have owned for years), and I mixed them with gold accessories. 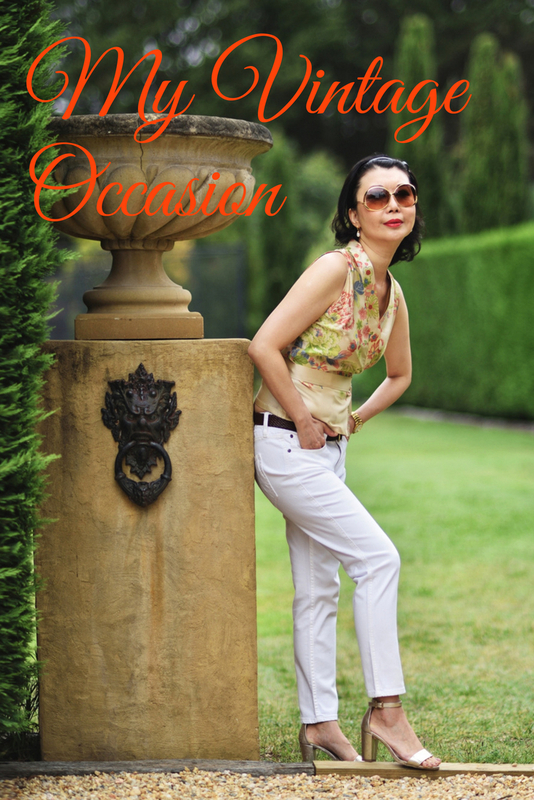 The day we arrived Fitzroy Inn, it reached 30C in Mittagong (read our story here), but soon the temperature dropped to 19C the next morning and that’s when we scheduled our shoot. 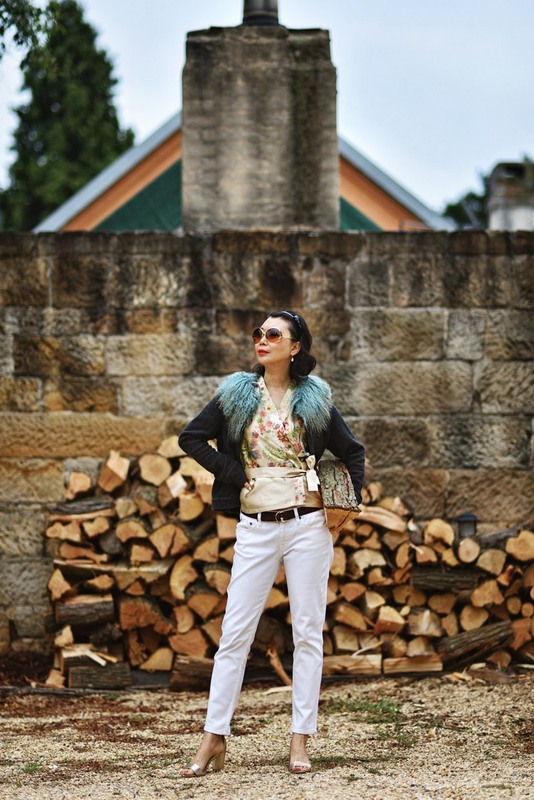 Knowing that the Southern Highlands geographically sits between 500 and 900 metres above sea level, the region is well known for its cool temperature climate; although we were spending the last few days of Australia summer in Mittagong, I made sure to pack my camel-hair-collar wool jacket with me. In the morning chill, my jacket certainly came in handy and brought interesting colour and texture to my ensemble! 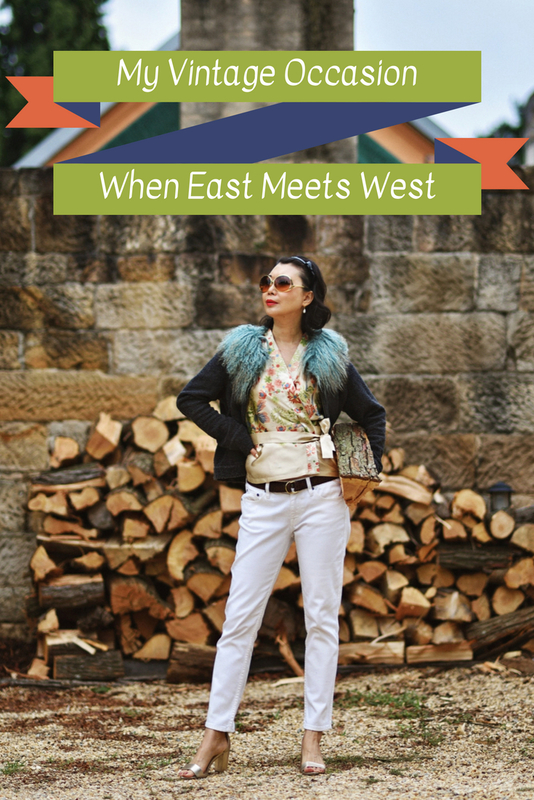 Calling Singapore my second home for over 20 years, I became a big fan of the east meets west theme. 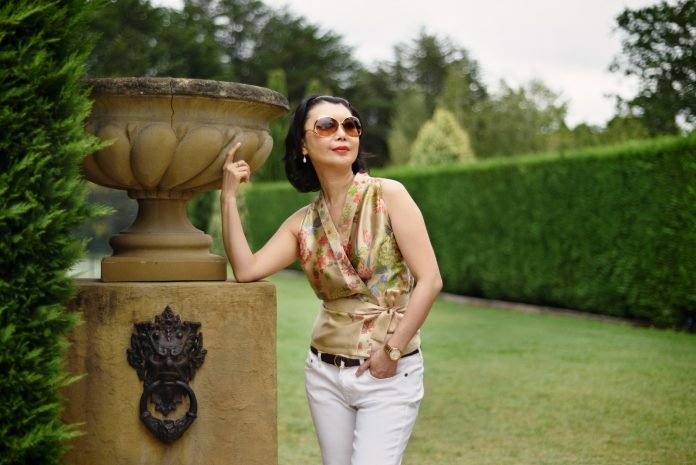 Thank you Vivienne for sharing your “style logic” and yes please I’d love to see more EAST MEETS WEST fashion!